Author: Canetti, Elias Set In . . . 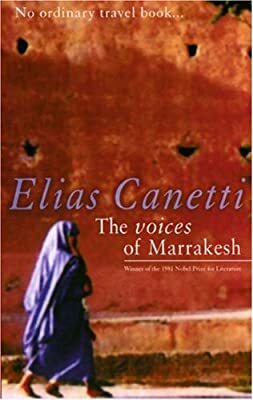 Winner of the 1981 Nobel Prize for Literature, Elias Canetti uncovers the secret life hidden beneath Marrakesh’s bewildering array of voices, gestures and faces. In a series of sharply etched scenes, he portrays the languages and cultures of the people who fill its bazaars, cafes, and streets. The book presents vivid images of daily life: the storytellers in the Djema el Fna, the armies of beggars ready to set upon the unwary, and the rituals of Moroccan family life. This is Marrakesh -described by one of Europe’s major literary intellects in an account lauded as "cosmopolitan in the tradition of Goethe" by the New York Times. "A unique travel book," according to John Bayley of the London Review of Books.